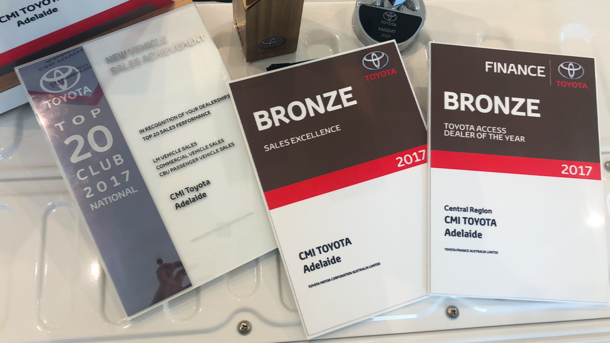 Recently, the CMI Team were excited and thrilled to attend the Toyota Dealer of the Year and President Awards, which highlighted performances across Toyota dealerships in South Australia for 2017. The CMI Team achieved fantastic results including being recognised as the Toyota Fleet Management Dealer of the Year, receiving the Knights Award for new vehicles sales, LM Sales Award for Locally Made Volume and the Guest Experience Masters Award. 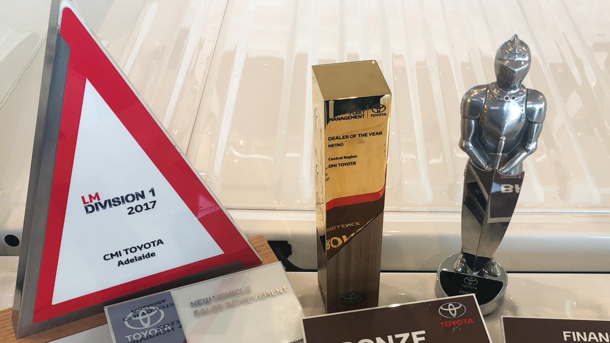 These awards and achievements would not be possible without our valued guests, clients and our dedicated team, so THANK YOU for choosing to be a part of CMI Toyota's continued success. 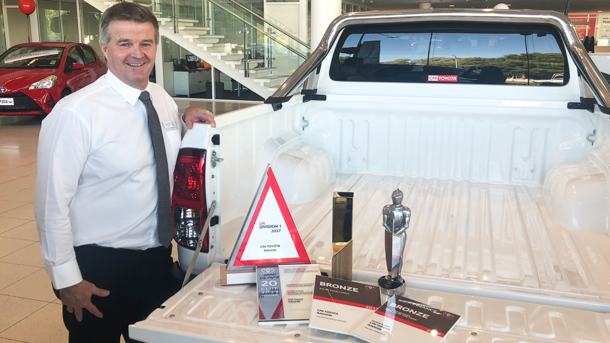 Pictured is Greg Hochuli, CMI Toyota New Vehicle General Sales Manager with a selection of the Awards received on the night.